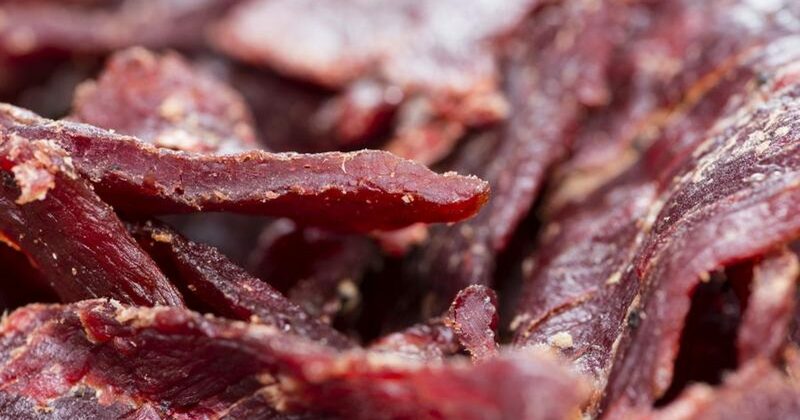 Beef jerky might be the world’s greatest portable protein and tastes awesome. But you don’t have to swerve into a convenience store every time you need a fix. If you make your own jerky, you have ultimate control over the flavour, plus homemade jerky is about half the price of a bag of the store-bought stuff. Beef jerky is a great alternative of high protein when you are on the go. No need to mess about with protein shakes and the question of water or milk and then of course getting a consistent mixture. Now as beef jerky is so easy to make, carry around in your pocket and consume, the only hurdle you have is the making process. You have to put the time in but it will be all worth it in the end, when you can make it super hot or very mild. Preheat oven to 80 degrees C (175 degrees F). Line a baking sheet with aluminium foil and place a wire rack over the foil. Bake beef in the preheated oven until dry and leathery, 3 to 4 hours. Open the door approx. every 30 minutes to let out some looming moisture. Cut with scissors into bite-size pieces. 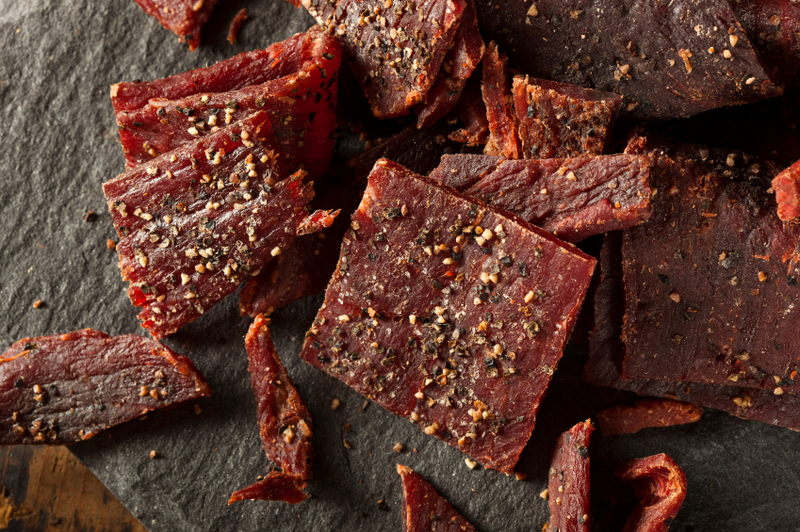 Here are some great alternatives to try after you are have perfected your beef jerky skills.